I have just finished the next block in the Stitch A Long. 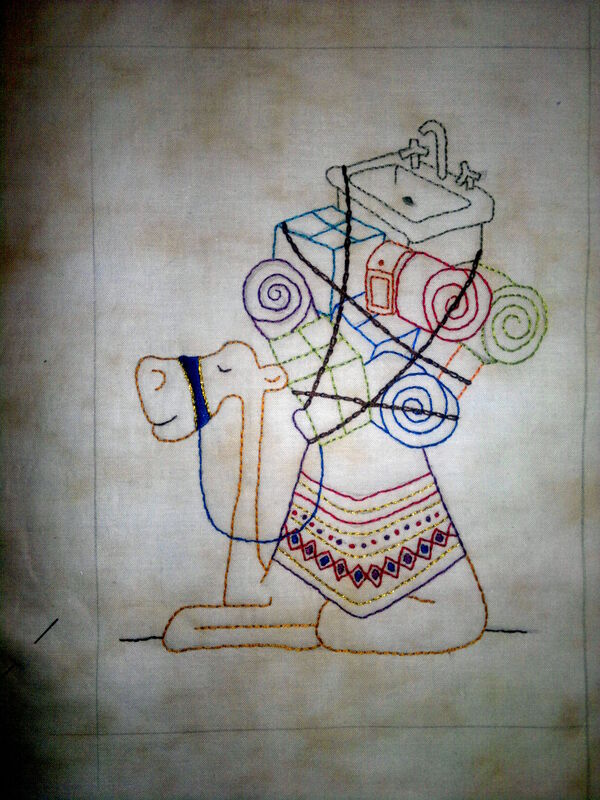 It’s Kitchen Sink Camel. I like the colors in it and the use of the metalic threads brighten it up more. I haven’t added the tassels along the reins but I will add it shortly. Amazingly it didn’t take it too long to do this one. Thankyou Natashia. I love stitching this quilt. I have just started on The Singing Praise Angel Band. It is very nice and can’t wait to see it finished too!